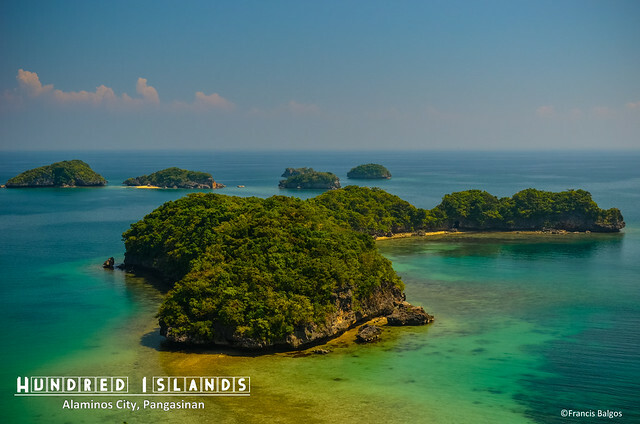 Scattered in the Lingayen Gulf of Pangasinan, some 123 to 124 Islands is the famous Hundred Islands National Park. I would say famous because I had first known about this National Park from my Grade School books as one of those Geological treasures turned into a Tourist attraction for everyone to enjoy. Lucap Wharf off the coast of Alaminos City is the jump off point, some 240 km North of Manila. The islands are dusty piles of Ancient Corals of an exposed Seabed, with peculiar mushroom-like shape due to erosion. There are only a number of Islands open for visiting Tourist mainly the Governor's Island, Marcos Island and the Children's Island. The park is also a location for the conservation of Giant Clams and its Terrestrial wildlife among the islands. NOTE: Travel Photo Series is a collection of Landscape and Travel photos of Pala-lagaw to mark a must see destination. Like Travel Post-Cards, this is meant to showcase what can be seen or experience in a particular destination of travel, with little tidbits. I've always wanted to see this since as you said this attraction is always introduced during the grade school days. Your photo is absolutely stunning. Your friends are right Yamito! The Hundred Island offers a wide range of wonderful adventures. I have visited there before canadian tours with my friends. This park is the national park in Phillippines. This island is one the most visited place in this country. This island offers various things such as: Island Hopping, Snorkeling, Cave Diving, beach and Crystal clear blue water. Millions of visitors come here only to see these attractions. These are the most famous attractions to visit there.